There are two schools of thought when it comes to recommending the best sports cars for teen drivers. Some might wonder why any sports car is recommended for a teenaged driver. After all, that thinking goes, aren’t teen drivers too inclined to take risks as drivers without tempting them with sports cars? But the other school of thought is that teens can become much better prepared for the rigors of everyday driving by understanding the basic physics of car control. And there is no better way to gain that understanding than by getting thorough instruction and then driving a vehicle that makes car control very clear…in other words a responsive sports car. 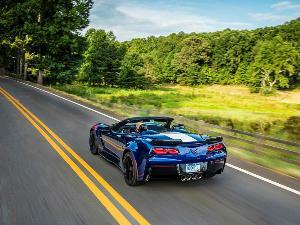 With that thinking in mind, here are the 10 Best Sports Cars for Teens. We are hard-pressed to think of any new vehicle that is as responsive, as fun, as educational as the Mazda MX-5 Miata. 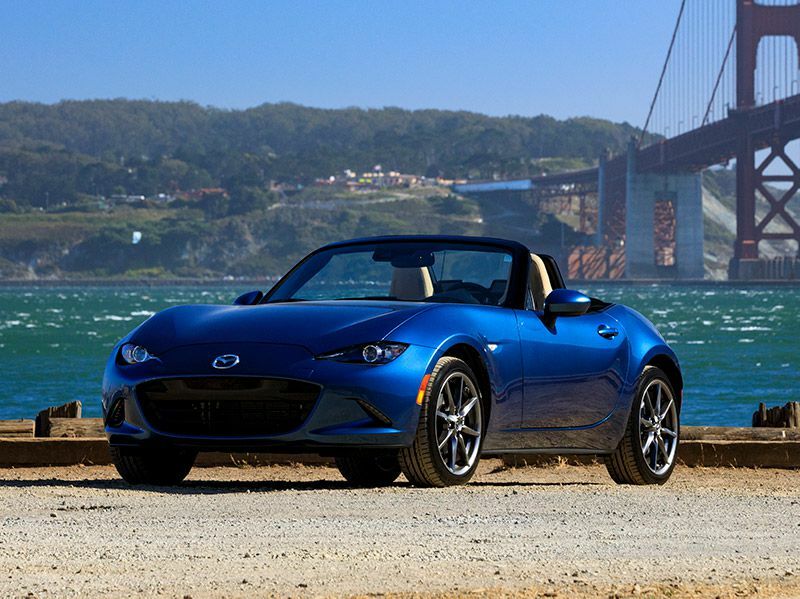 With its 155-horsepower four-cylinder engine, the Miata offers responsive acceleration but it doesn’t overdo horsepower or torque. It is so well-balanced and responsive to the steering wheel, that it is a sterling first sports car…or last sports car, for that matter. From its introduction, the Miata has always transmitted the essence of European two-seat roadsters of the Sixties, but it also has modern amenities and excellent dependability. For teens, we like the quick-shifting six-speed manual transmission, but since today’s youngest drivers will soon find themselves in a manual-free world, the automatic is a good choice too. 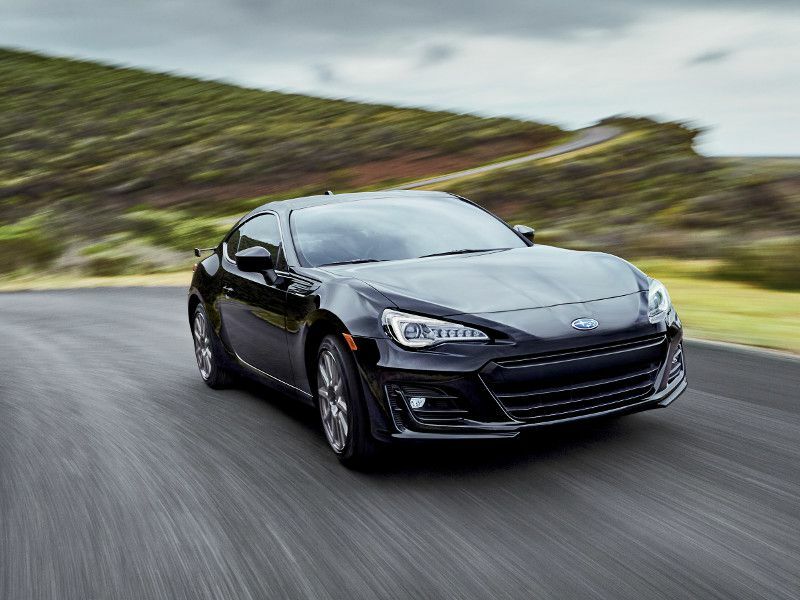 If the Miata is a throwback to the English sports cars of the Fifties and Sixties, then the Toyota 86 (and the closely related Subaru BRZ) is a throwback to Japanese sports coupes of the Seventies and Eighties. If you think Datsun 240Z or Mazda RX-7, you’ve got the picture. Like the Miata, the Toyota 86 won’t bowl you over with sheer horsepower, and for a teen driver that is a very good thing. Still, the 86 is responsive and wonderfully balanced. Its 200-horsepower 4-cylinder engine can be backed by a manual transmission, but our tendency is to recommend the automatic that offers paddle shifters and dynamic rev management. 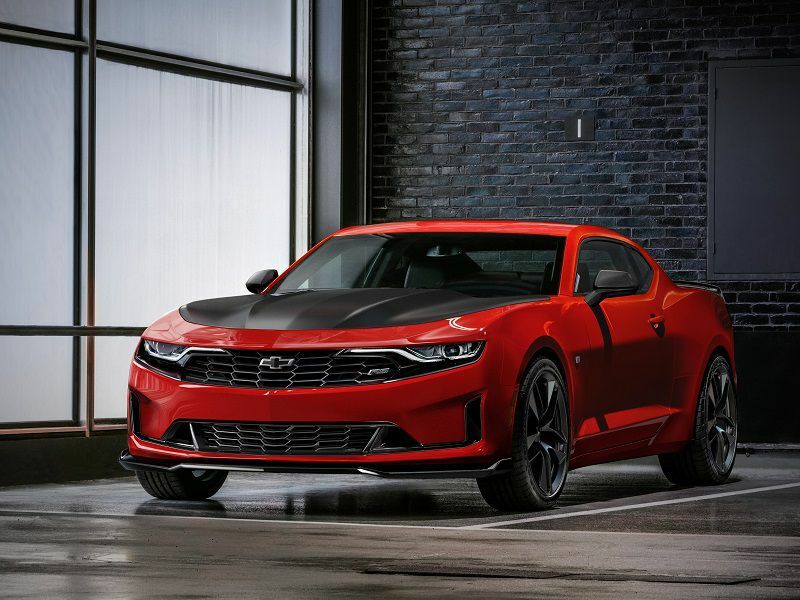 While the V-8 equipped 2019 Chevrolet Camaro might just be “too much car” for a teen driver, we think the 4-cylinder-equipped Camaro could be a good choice. It is certainly no sluggard. It offers 275 horsepower from its 2.0-liter turbocharged engine. For transmissions there is a choice between a 6-speed manual and an 8-speed paddle-shift automatic. In what has become a sea of front-drive sports models, the Camaro, like the rival Ford Mustang, is a rear-drive car, and that has advantages for a novice driver seeking to understanding vehicle dynamics. With standard alloy wheels and a power-adjustable driver’s seat, the Camaro is a good choice. The MINI Cooper took the small car in an elite direction, and it is a great sporty car for a teen driver. 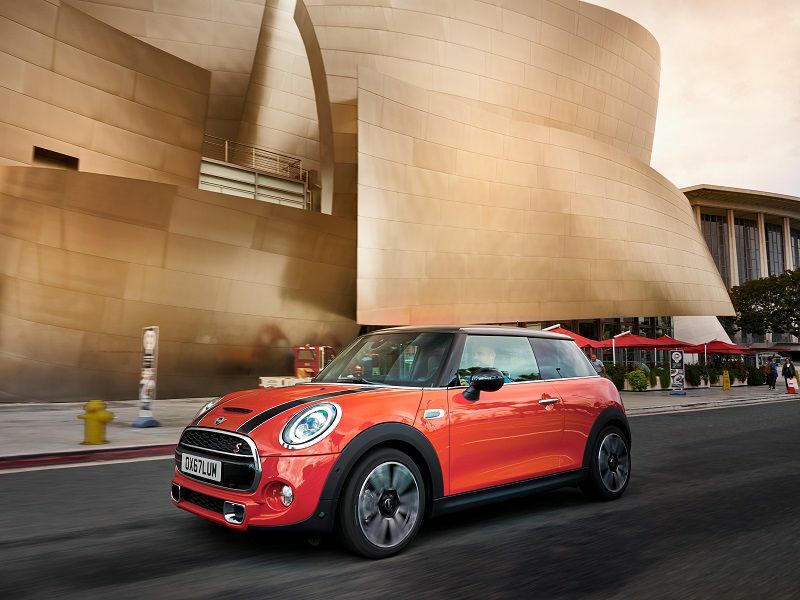 Yes, we understand the MINI Cooper Hardtop might be the more practical choice, but even though the MINI Cooper S is a bit more expensive, we believe its significantly more responsive powertrain is worth the added coin. 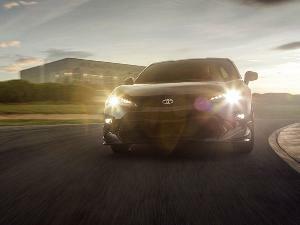 With its significantly stronger 189-horsepower turbocharged 2.0-liter inline-four-cylinder engine, you have your choice of the six-speed manual transmission or the six-speed automatic. The MINI Cooper S offers a nice list of standard stuff like power locks, power mirrors and cruise control, and unlike several cars on this list, the Cooper S Hardtop can tote a lot of stuff. There are hotter — in fact much hotter — versions of the Hyundai Veloster available, but for teen drivers a solid recommendation is the base model. It has the same good looks as the others — minus a bit of bling — and it is equally well-built and reliable, but it also has what we would describe as an “appropriate” level of power. Its 2.0-liter 4-cylinder engine delivers 147 horsepower, more than enough to give it some zip but not too much. 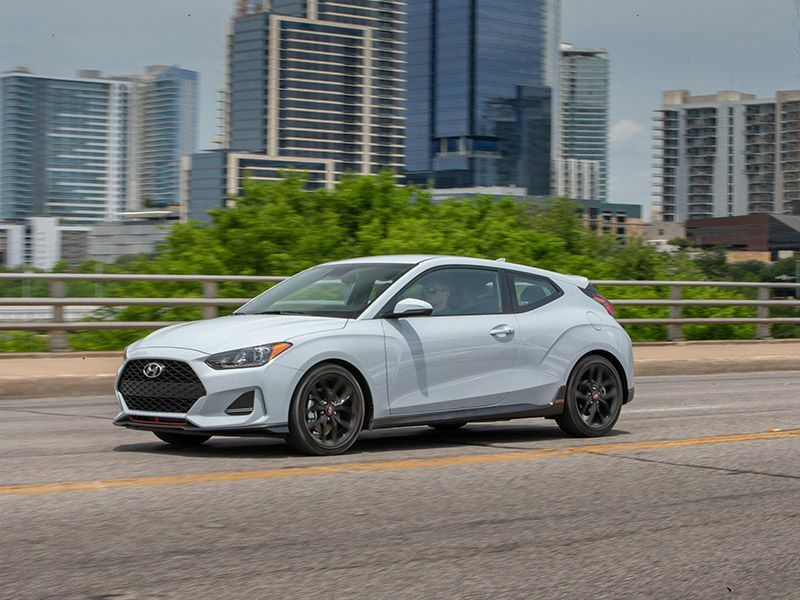 With the 6-speed Shiftronic automatic, we think the Veloster is a terrific way to introduce teens to performance driving while maintaining the critical level of sanity that will help teens stay safe. Remote keyless entry and tilt wheel are among the upscale standard features. 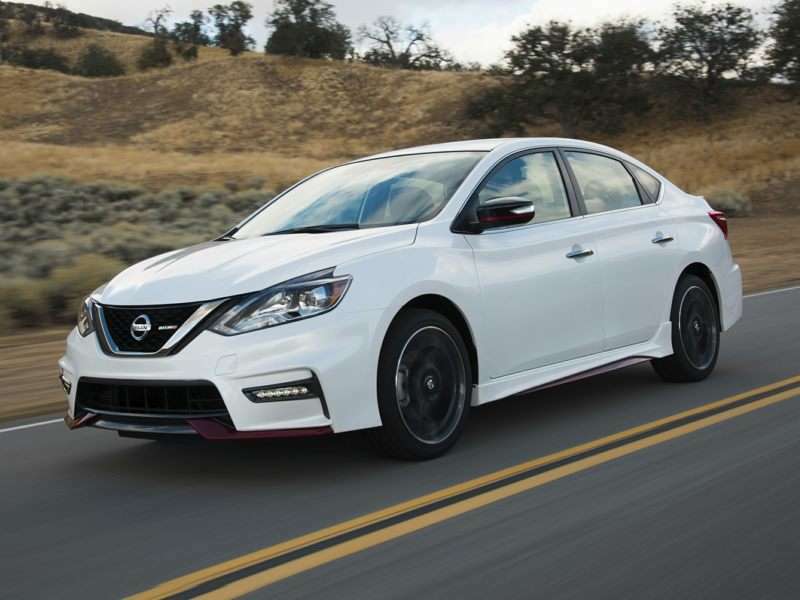 NISMO is Nissan’s performance arm, and its efforts on the Sentra compact are perfectly in line with what you might look for in a sports car for a teen driver. It has sporty looks and sporty performance, but its capabilities aren’t over the top…and thus offer a good safety margin for the performance-oriented teen. The NISMO offers the same 188 horsepower at the SR Turbo version of the car, which might surprise you. 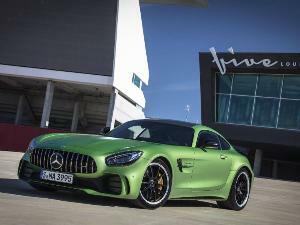 But the handling has been tweaked; the tires and wheels are performance-oriented, and the car is peppy, especially when the overachieving 1.6-liter 4-cylinder engine is paired with the 6-speed manual transmission. Additional good news is the Sentra NISMO is a very practical car, offering tons of interior space and 15.1 cubic feet of cargo room. 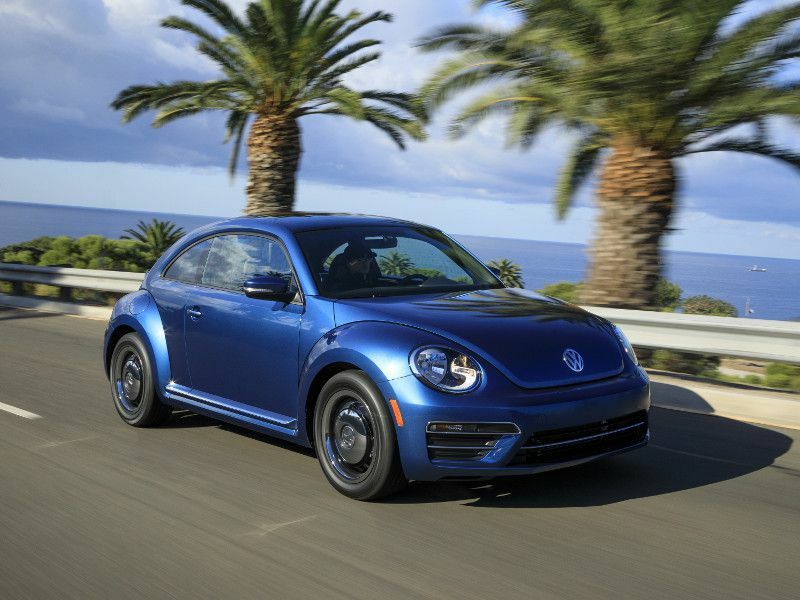 The highly regarded, much-heralded Volkswagen GTI seems to be the obvious choice in this category, but that doesn’t take into account that 2019 is the final year of the Volkswagen Beetle. So as a nod to that landmark car, we recommend a long look at the Volkswagen Beetle SE Final Edition. As a sports car for teens it offers a lot to like. Its 2.0-liter turbocharged 4-cylinder engine delivers 174 horsepower, plenty for fun but not too much fun. Equipped with a 6-speed automatic with Tiptronic and sport mode, the Beetle SE offers sharp, Eurosport handling in an extremely appealing version a timeless shape. Extras like moonroof, 12-volt power outlet and alloy wheels sweeten the deal. 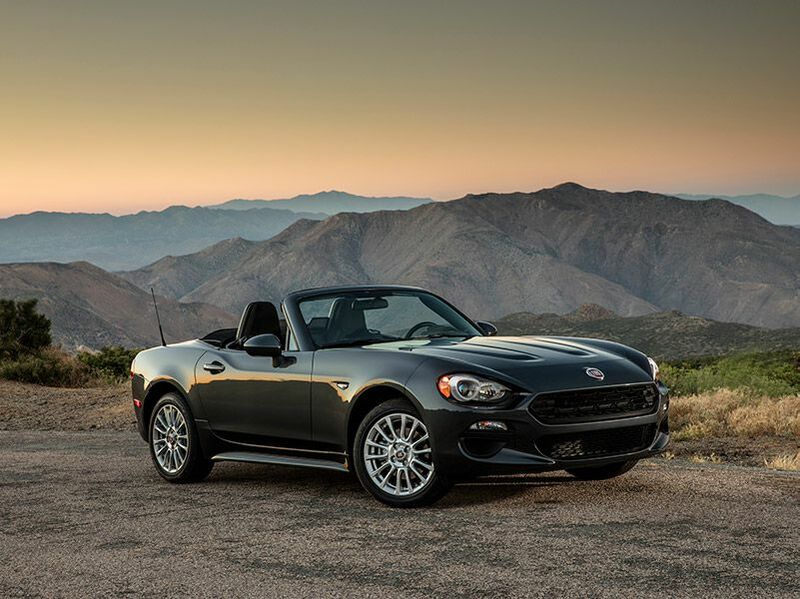 Fiat 124 Spider Classica…the name conjures up images of a romantic time gone by. The good news is the current version — the product of an alliance between Italian-American Fiat Chrysler and Japanese Mazda — manages to capture the Continental looks of the much-loved Fiat 124 of old while bringing it up to date. How does it differ from the closely related Mazda MX-5 Miata also on this list? There is the more muscular, 160-horsepower turbocharged engine, heritage-inspired exterior styling and the Italian-influenced interior. To pair with the engine we suggest the 6-speed manual transmission, which is totally in keeping with the throwback nature of the Fiat 124. 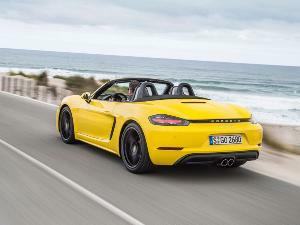 As a proper two-seat sports car should be, this car is rear-drive and ready. Ciao! 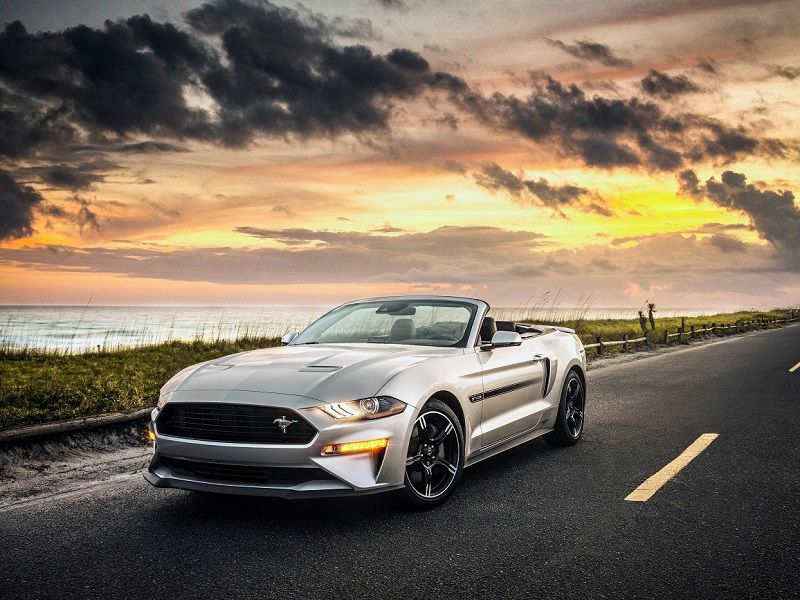 With the introduction of the Mustang way back in the mid-Sixties Ford practically invented the sports car for teens, and it has been providing a great choice for teen drivers for more than 50 years now. The current Mustang is a reflection of today’s realities. Our recommendation is the turbocharged four-cylinder edition that delivers surprising all-around performance and handling. No, it is not a five-liter V-8, but its 310 horsepower results in a very satisfying vehicle. Part of the good news is the Mustang’s chassis has transitioned from old-school to very sophisticated, so the well-balanced coupe isn’t just fun to drive; it also conveys the essence of rear-drive handling. Plus, with its classic Mustang styling, it is good-looking, too. 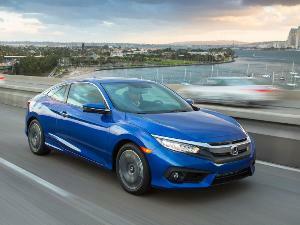 The Honda Civic Si is right around the 200-horsepower bogey we feel is appropriate for a teen driver, and we decided to include it on our list versus other Civic models because it is so much in keeping with the overall theme of this article — provide teen drivers with great learning tools. 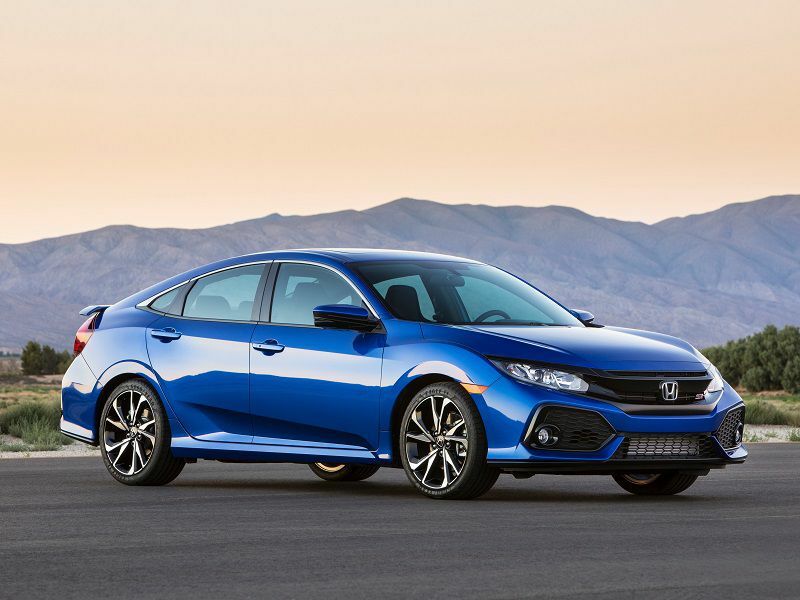 The Civic Si’s precise performance does just that in a package that is, at the same time, fun-to-drive, great-looking, and immensely practical. This is a car that is a blast to throw around, delivers 32 mpg combined fuel economy and offers an excellent resale value record. 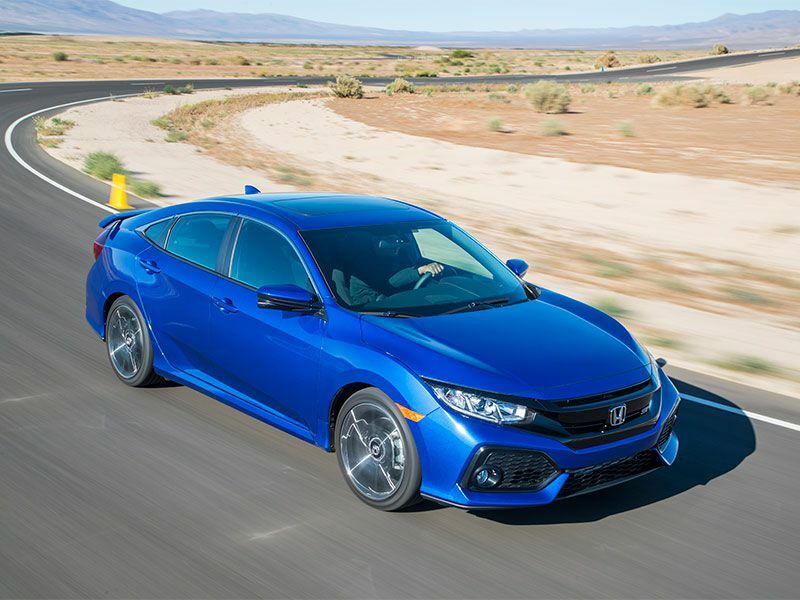 The 6-speed manual transmission is a good choice in this car, and you’ll find the Si trim filled with equipment, including a sunroof. Plus its National Highway Traffic safety Administration crash test ratings are stellar.